Brandon is originally from Southmayd, Texas. He received a B.S. in Construction Science from Texas A&M-Commerce in 2001. After college, he worked as a Superintendent for Hensel Phelps Construction out of Dallas. There he worked on the $2 billion Automated People Mover Project at DFW Airport. The People Mover connects all the terminals at the airport on a 50 foot tall 5.4 mile guideway with 2 state of the art stations at each terminal. From there, he went on to Constructors and Associates out of Dallas. There he worked as a superintendent on a DataCenter for AIG insurance at Alliance Parkway in Ft. Worth. This was a 210,000 square foot tilt wall facility which served as a hub to store information. The building was self sufficient and could operate for 4 days without power or water. 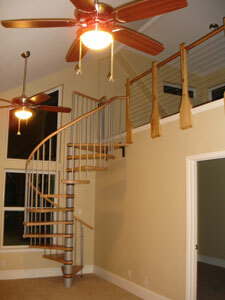 He as also managed many residential projects in the North Texas area. With a strong commercial and residential background, Brandon can take on the most challenging commercial project as well as the most complicated new homes and remodeling projects. Jared is originally from Collinsville, Texas. He received a BS in Construction Engineering from Texas Tech University in 1999. From there he went on to work for Cadence McShane Corporation out of Dallas. There he worked on a variety of projects, including a $30 million addition to Mesquite Poteet HS, Plano West HS, the modernization of the Grapevine Colleyville Football Stadium, and the Expansion of the Grapevine Colleyville Natatorium, as well as other projects. From there he went on to JMC Construction out of McKinney where he served as a Superintendent and Project Manager on the $7 million Education and Medical/Dental/Administration Building projects at the North Texas Job Corps in McKinney. With skills in the management of both commercial and residential construction projects, Jared can handle whatever unique needs your project requires.